Extra storage for your phone! Limitless storage capabilities for your compatible smartphone. 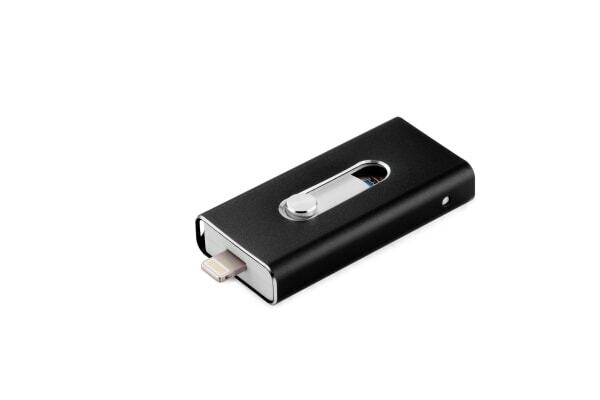 With the 3 in 1 32GB Lightning & Micro USB OTG Flash Drive you can have more photos, more movies, more music, more everything! 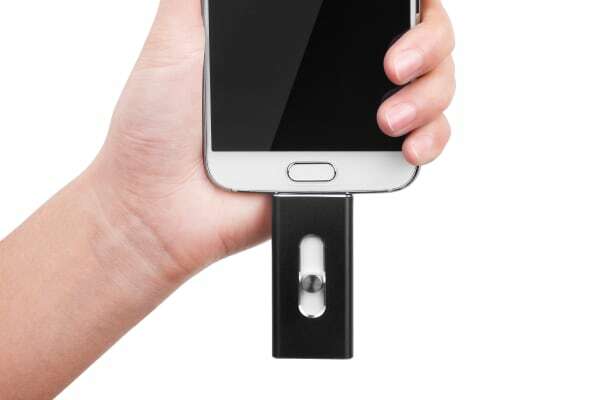 Simply plug this nifty device into your compatible Android or Apple smartphone or tablet to instantly expand your storage capabilities and seamlessly transfer data at supercharged speeds. It really is the simplest way to ensure you never run out of mobile storage space. 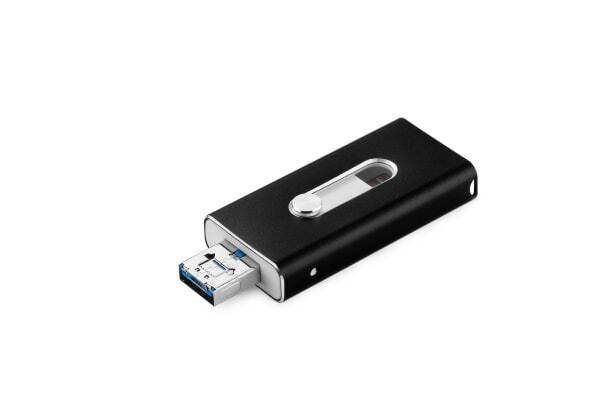 Plus, you can use the flash drive to backup all your contacts (perfect for those prone to leaving their phone in the back of a taxi), and all your data can be viewed, copied, moved and renamed with total ease.